Crude oil refers to unrefined petroleum, which is a mixture of hydrocarbon deposits and other organic components. This commodity can indeed be used to produce well-known things as gasoline and many other kinds of combustibles. It’s worth noting that crude is a nonrenewable resource. In other words, a time will come when we won’t be able to pump oil from the ground anymore (god help us!). Hopefully, that’s not happening any soon and new clean alternatives like solar energy will become more accessible for the public. The “black gold”, although sometimes is yellow, has been losing value in the last few years. In 2016, crude oil benchmarks touched historic lows as increasing US shale production created a deep oversupply situation in the market. In order to prevent moving into unknown territories, the Organization of Petroleum Exporting Countries (OPEC) together with key independent producers such as Russia agreed to cut their production levels in 1.8 million barrels per day for the first semester of this year. A deal is likely to be extended until March 2018 as Saudi Arabia, one of the world’s top producers, says the job is not quite done yet. Keep your eyes wide open for the next OPEC meeting in Vienna on May 25. 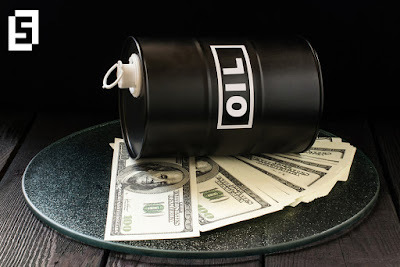 In case the oil cartel votes in favor of extending the agreement, crude prices could surge substantially. Question 1: What’s the difference between BRENT and WTI? BRENT: Crude oil that comes from the North Sea is usually called “Brent” type. It’s a reference price for oil in Europe, Africa and the Middle East. It’s sources from the United Kingdom, and some northern nations such as Norway and Denmark. In recent years, Brent has become the most popular reference for world crude prices. WTI: West Texas Intermediate crude oil refers to a cheaper type of oil, also known as sweet crude. To enter in this category, oil should contain less than 0.5 percent sulfur. It tends to be used for gasoline, diesel and heating oil. Futures of the WTI count on high liquidity and provide great trading opportunities for energy sector traders. It’s typically affected by weekly inventories reports from EIA and API. Question 2: What’s the difference between EIA and API stockpiles reports? EIA: The Energy Information Administration publishes every Wednesday at 14:30 GMT (changes apply in case of holidays) official crude and refined products stockpiles. Data is relevant for oil traders as it shows the level of activity of US drillers. If reserves are higher, it means producers are drilling more oil faster, otherwise, the count goes down. At this stage, the report is specially useful to see how US drillers are adapting to OPEC-led output cuts. The impact of EIA’s figures is stronger than API data. API: The American Petroleum Institute releases crude and refined products stockpiles every Tuesday in anticipation of official data. API’s bulletin tends to show positive correlation with EIA’s data, but not always. Only few weeks ago, markets were surprised as the industry report said inventories increased, while official data later showed a totally unexpected drawdown.